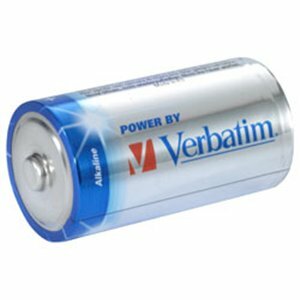 Verbatim, the market leader in Optical Media, have introduced a new high power, high performance alkaline battery range. Verbatim takes environmental issues seriously and in doing so strive to supply products that are friendly to the environment. All Verbatim batteries are mercury and cadmium free, and all other metals used in the batteries meet the criteria laid out in the European legislation for batteries. All Verbatim batteries are ROHS (reduced of hazardous substances) compliant, and they comply to the collection and recycling programs set out by the regional communities in Europe.